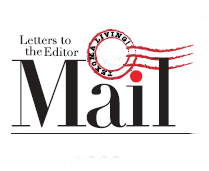 This “Letter to the Editor” appeared in the Fall 2008 issue of Texoma Living!. On behalf of the Veterans Affairs North Texas Health Care System, Sam Rayburn Memorial Veterans Center, I would like to thank you for your generous donation of your magazines for the patients. It is with support such as yours that we are able to make our veteran’s stay at the medical center more pleasant and cheerful. Editor: We regret it took us a while to start distribution to your Bonham facility. You can bet we won’t forget you guys in the future. We are proud to do what we can to add some entertainment to any patient’s day.